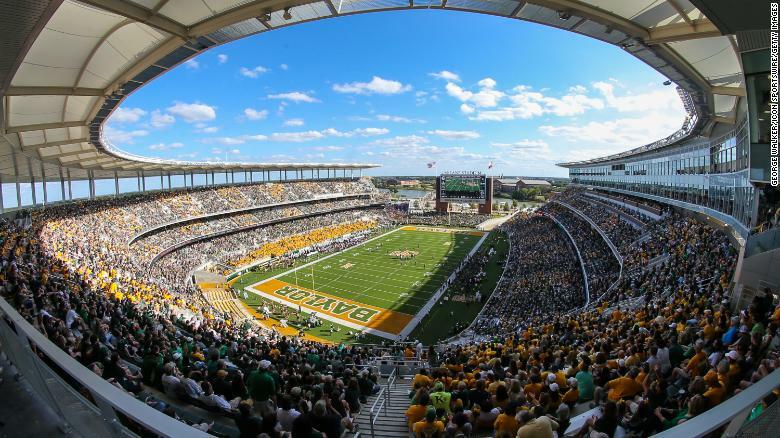 (CNN) – See if you can wrap your mind around this eye-popping price tag for a renovated college football stadium in Texas: half a billion dollars. That’s right, five years ago Texas A&M expanded and improved Kyle Field to the tune of $485 million. That equals more than half a billion in 2018 dollars. That’s more money than the gross national product of some small nations. 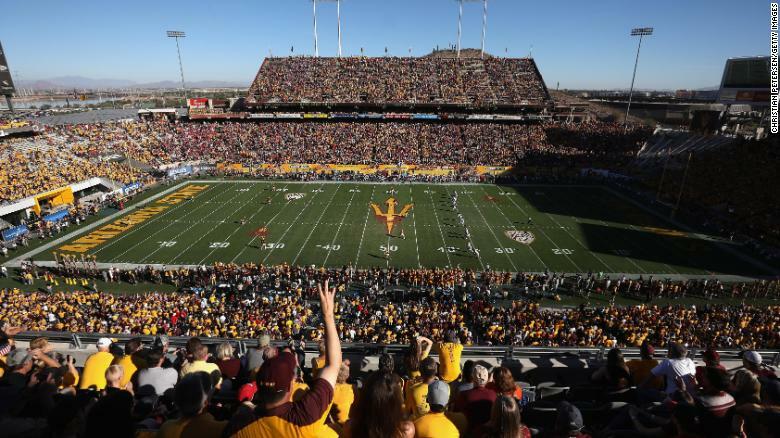 In fact, many universities in places like Tennessee, Kansas, Arizona and elsewhere are shelling out astronomical funds to build shiny new stadiums, or to make their existing facilities bigger and better. A lot, if not most, of the money for these multimillion-dollar facilities comes from private donors, but the ultra-high numbers speak volumes about the role of sports in America’s education system. 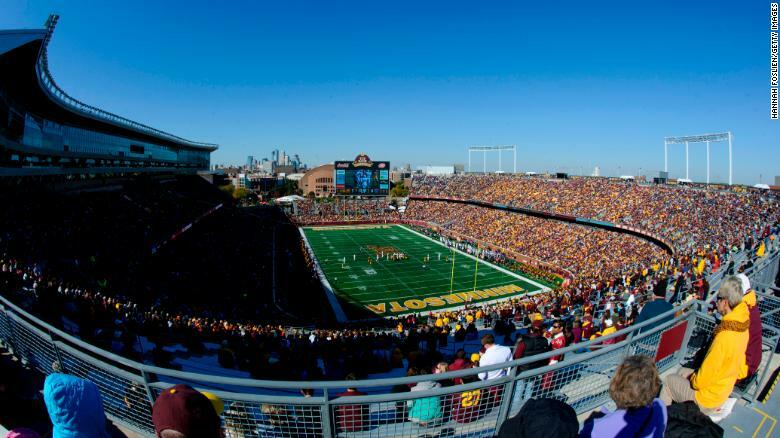 Sporting events, particularly football, have become cash cows that are critical to the overall economic success of many institutes of higher learning. 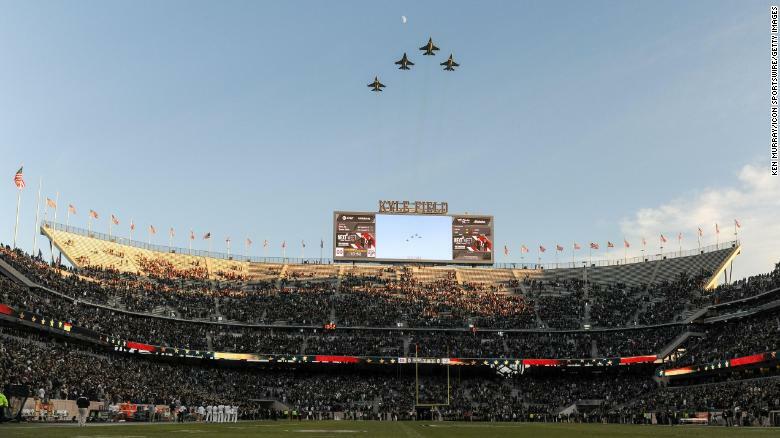 Even after adjusting for inflation, experts say the cost of modernizing or replacing aging stadiums is generally pricier than a generation ago. Design and construction standards are generally higher. And so are the expectations of 21st century fans. They expect amenities like club level seats, premium concession areas, video screens throughout the stadium and robust connectivity. Let’s take a quick look at a few recent, pricey renovations along with some of their best features. What the money bought: The latest renovation of Kyle Field was “one of the largest and most extensive redevelopment projects in the history of collegiate athletics,” according to the Texas A&M website. That’s not surprising, given the final price: more than half a billion in 2018 dollars. 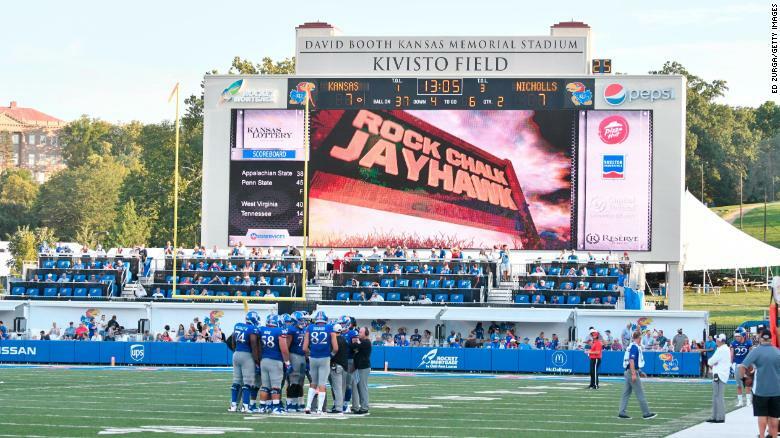 It also boasts one of college football’s largest video boards, measuring 47 feet by 163 feet. What the money bought: Notre Dame called this renovation and new construction plan thelargest building project in its more than 170-year history. 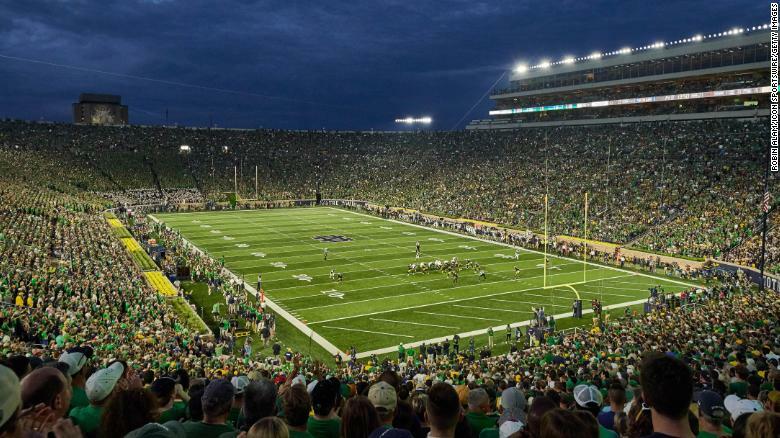 The wooden benches are gone from the stadium known as the “House that Knute Rockne Built.” In their place: vinyl-covered steel benches that are 2 inches wider, the South Bend Tribune reported. A gigantic 96-by-54 foot video screen dominates the south wall. The renovation also included a stronger Wi-Fi and cellular network, according to the school. But seating capacity dropped from nearly 83,000 to fewer than 79,000. Other improvements include new lights, a new press box and new accoutrements on the concourses. What the money is expected to buy: A five-year renovation that is planned to begin at the end of the 2018 season is expected to include a new indoor practice facility, new seating decks, a high-definition video scoreboard, new luxury seating, concourses and concession areas, reports kansan.com. 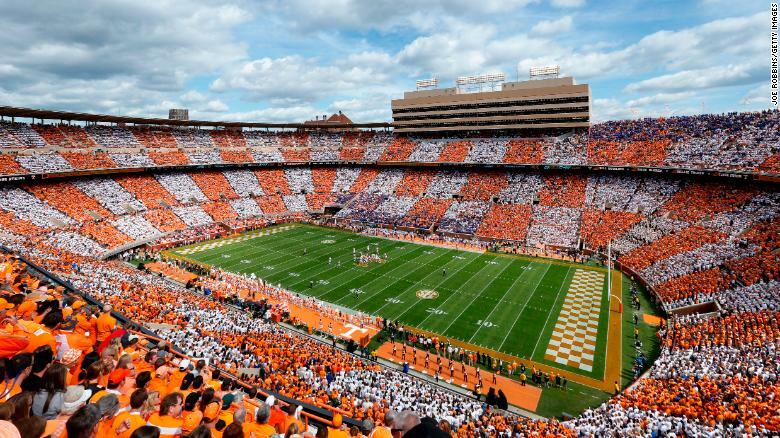 What the money is expected to buy: The Tennessee Volunteers have big plans for the “fifth largest stadium in the nation.” Phase One — which is just getting under way — is expected to last two years, according to knoxnews.com. New entry towers and gates will be built along with improvements to the stadium exterior. Also in the works are plans to expand the south concourse, including new restrooms and concession stands. 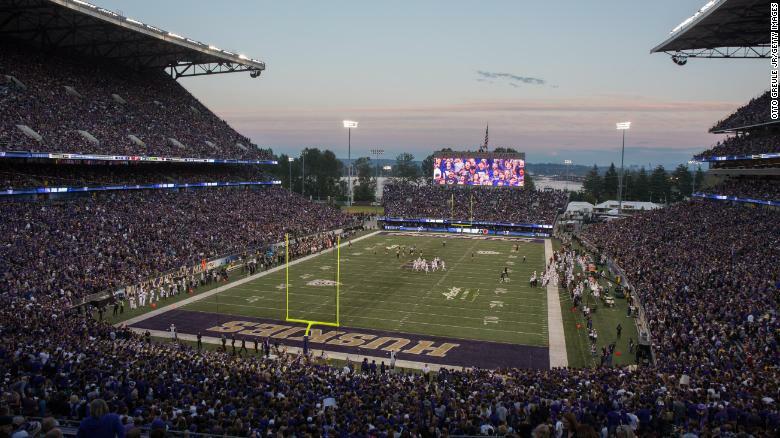 What the money bought: The sweeping renovation project included major engineering changes aimed at protecting the stadium from earthquake damage. Also new: a press box, a posh University Club, walkways, restrooms and concession stands. Wooden bleachers were replaced with aluminum bleachers, according to local news site Berkeleyside. 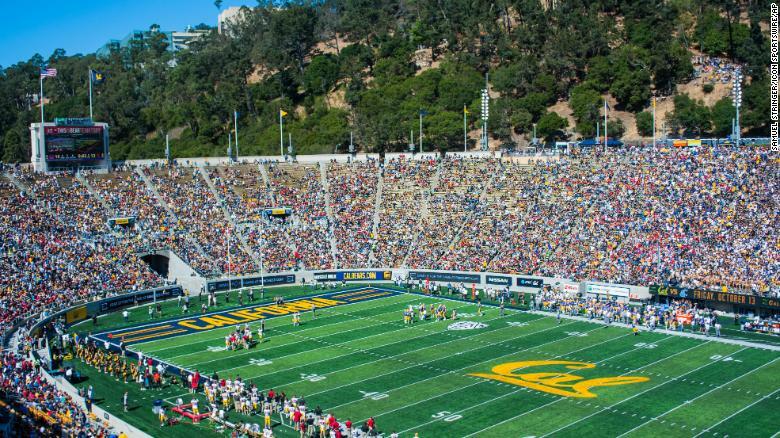 “We’ve gone from arguably the worst conditions for Division 1 football to among the best,” Director of Cal Athletics Sandy Barbour told Berkeleyside in 2012. What the money bought: This ongoing renovation is expected to cut capacity by 16,000 seats, azcentral.com reports. The stadium’s south end zone has been rebuilt and new seating has been added to the north and west sides. Parts of the stadium have been rewired for video and audio. Also new: a beer garden, shops, grand staircases and a gigantic video display. A final phase of the renovation is planned for 2019. What the money bought: The school website says the renovated stadium offers more facilities for disabled visitors and a 31-foot-tall high-def video board. There’s seating for nearly 700 additional students, more luxury seating and increased legroom for most seats. The renovations also brought environmentally friendly lighting and energy management systems. 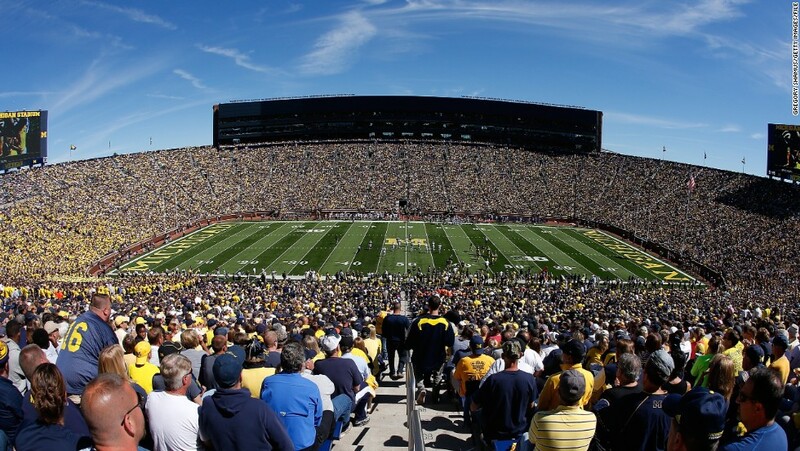 What the money bought: “The Big House” — which bills itself as the largest college football stadium in the United States — got a major makeover nearly a decade ago. More than 83 luxury suites and 3,000 club seats were added on the east and west sides of the stadium. The renovation also brought wider aisles, wider seats, more handrails, a new press box, more restrooms and concession stands. What the money bought: The new stadium boasts 23 private suites, 884 club seats and 224 large box seats. It also has a huge video board — this one measuring 4,242 square feet. 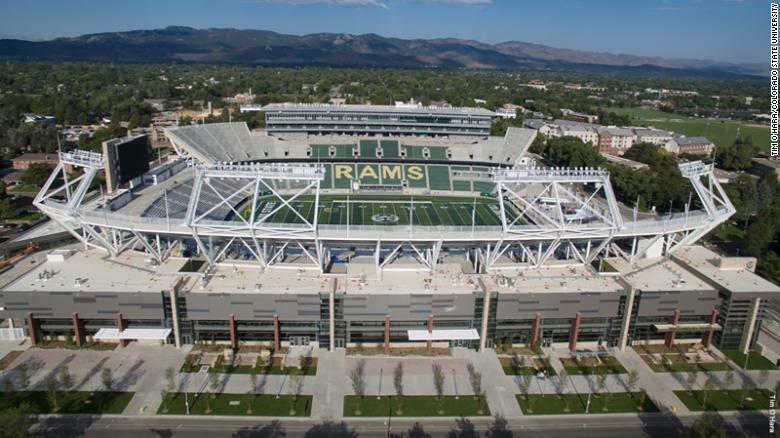 It houses new offices for CSU football operations, a sports medicine center and a player recruit lounge, as well as nearly 60,000 square feet of academic space.